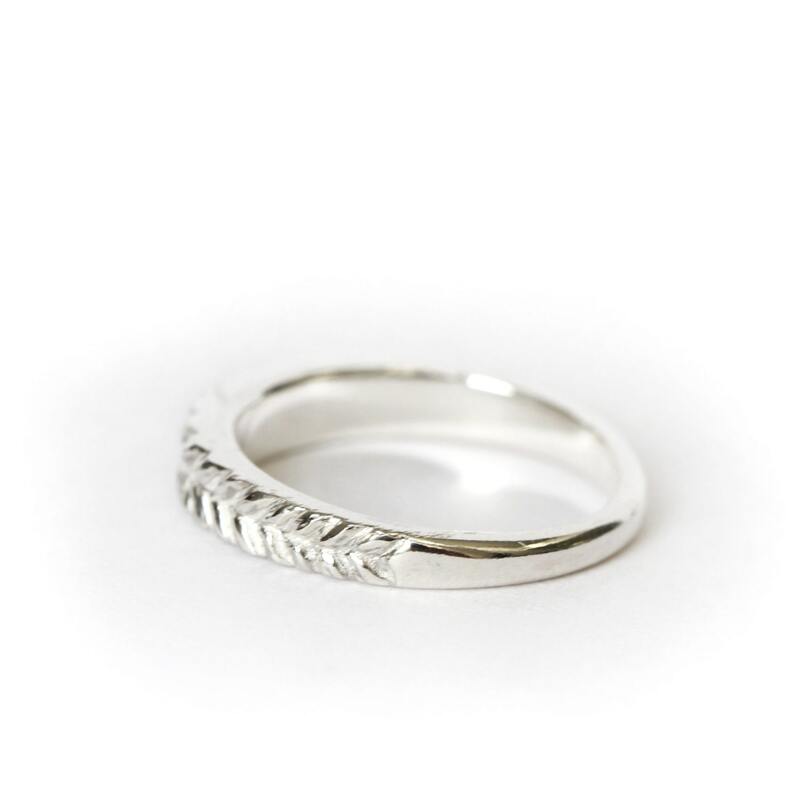 Handcarved band in solid silver 925, can be ordered in white or blackened silver, it is a very confortable shape that will sit nicely next to many other stacking ring. 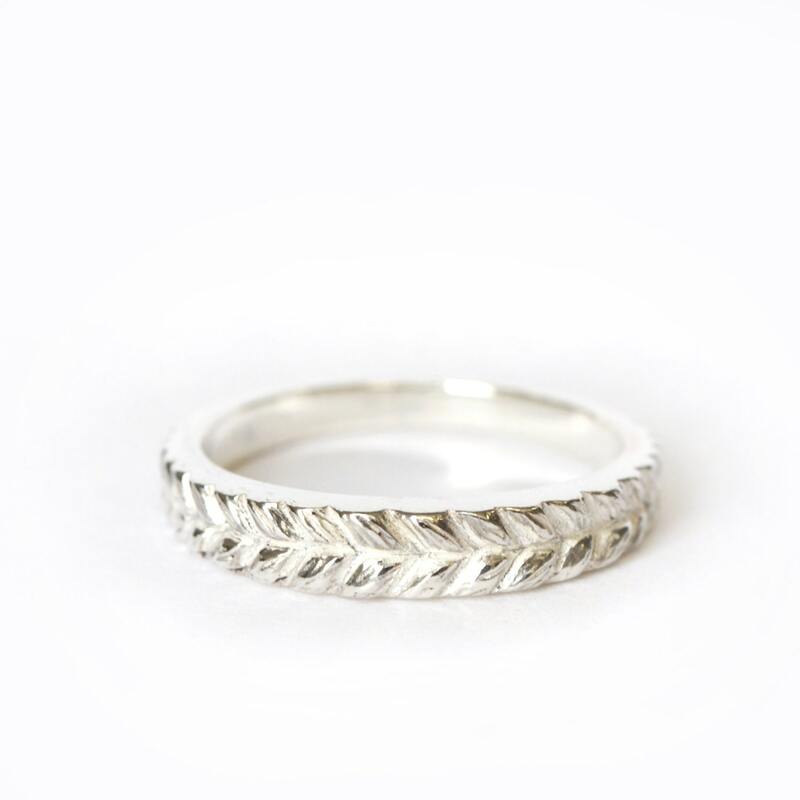 Can be use as a wedding band or can be mix with many of my jewellery to. 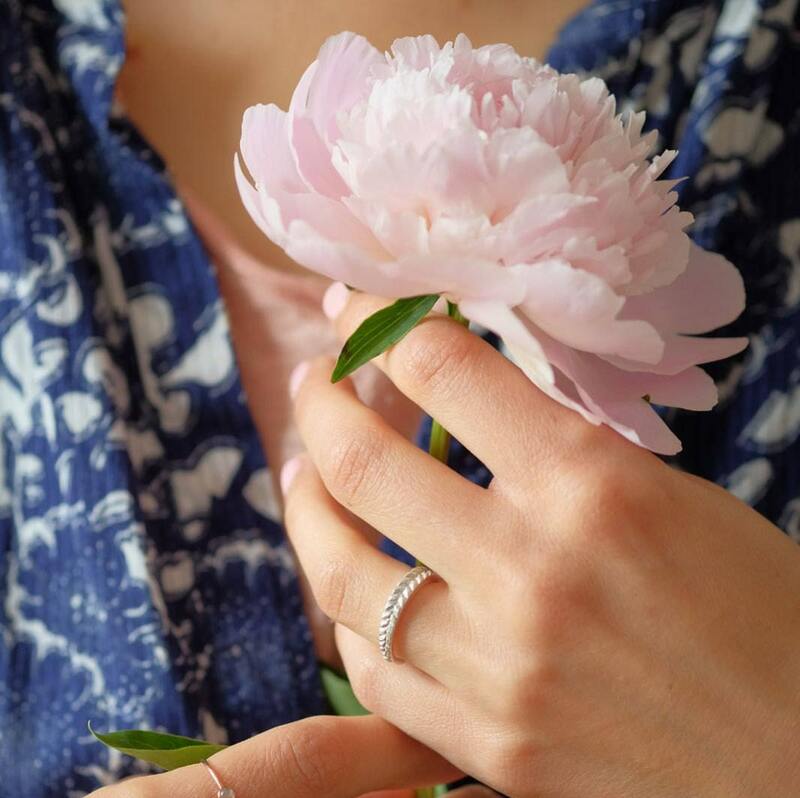 Ring photograph by He Capture, feature in the blog "Un beau jour"